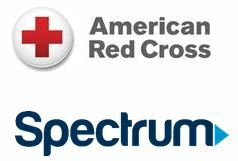 Lafayette, LA – March 21, 2018 – The Louisiana Red Cross, in partnership with Spectrum, will Sound the Alarm in Opelousas this Saturday, March 23, from 8 a.m. to 2 p.m. Representatives from both organizations will go door-to-door offering to install free smoke alarms, and provide home fire safety education. Installations will take place along the portion of Jake Drive where a fatal fire occurred earlier this month, as well as in an area just to the east of the Sidney Street playground. The installation event is part of Charter Communications, Inc.’s (NASDAQ: CHTR)national philanthropic initiative, Spectrum Housing Assist. “The Louisiana Red Cross and our partners are committed to installing smoke alarms and providing safety education to keep communities safe in the face of the most common disaster – home fires. On average, seven people die every day in a home fire and having working smoke alarms can cut that risk of death or injury in half. We’re honored that Spectrum selected Louisiana, and the Opelousas community, to serve as the backdrop for Spectrum Housing Assist,” said Merri Alessi, executive director for the Capital West chapter of the Louisiana Red Cross. To take advantage of this free life-saving service, residents in these areas need only to be home during the timeframe of the event. The majority of the nearly 64,000 disasters the Red Cross responds to each year are home fires. Saturday’s fire prevention effort comes following multiple home fires and a fatality in the Acadiana area over the last month. Sound the Alarm is a nationwide initiative where Red Cross volunteers and partners provide home fire safety education and offer free smoke alarm installations to households in need. The effort is part of the Red Cross’ Home Fire Campaign, started in 2014 with the goal of reducing fire-related deaths and injuries in the US. The Red Cross provides free smoke alarm installations and home fire education to households in need of this service year-round. Anyone in need of a working smoke alarm can schedule a time for Red Cross volunteers to come out to their home and provide this service by filling out a smoke alarm installation request here or calling your local Red Cross chapter.